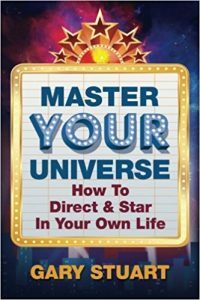 Gary Stuart has written and published several books, including Many Hearts, ONE SOUL, GOD Says, “HEAL!”, and GEMS of INSPIRATION, and most recently, MASTER YOUR UNIVERSE: How to Direct and Star in Your Own Life. Gary’s books are designed to inspire, heal and add wisdom to contemporary life, while helping us understand the spiritual aspects of negative physical and emotional challenges that can create dis-ease and disharmony in our lives. Gary Stuart’s latest book describes, with humorous insight, exactly how you can transform your life. If you view your life as a collection of many scenes, you can see it’s like a moving picture. Gary reveals how there’s a hidden “silent movie” subtly operating behind-the-scenes that often compels us to sabotage ourselves and others. Becoming conscious of this hidden movie is the key. Gary goes far beyond merely explaining the process itself here, and infuses the work with inspirational poetry, personal commentary and a heartfelt desire to share what he has discovered from his years of experience. Given the universality of the subject matter, even those previously unfamiliar with the modality will be inspired to try it for themselves. Gary Stuart’s latest book, GEMS of INSPIRATION: TRANSFORMATIONAL POETRY from the HEART for the SOUL, is a collection of spiritually inspired poems. In this work, Stuart’s first in the poetic genre, he uses his talent to share messages of hope and healing as we travel through the different stages of our lives. Every level of the human experience is poetically covered, from Evolution to Birth of Spirit to God, Parents and Babies, as well as Grief, Death and Celebration of Life. Stuart connects us to the mysteries of life and love through his astute observations of nature and spirit. Even with its ups and downs, Stuart maintains, life usually has a positive outcome of learning, understanding and personal growth. Always the optimist, he wishes us all to be touched by love, even in light of the painful prices we sometimes pay for that vulnerability. 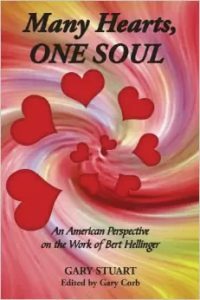 An inspired collection of essays reflecting the current state of affairs on planet earth; how they affect the health and well-being of all living things. 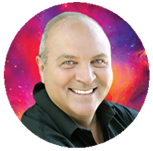 Gary Stuart uncovers hidden truths, both positive and negative, that are necessary components of growth and change. Gary believes that in exposing the negative, we encourage the positive to emerge and gain strength. Stuart’s theories attempt to reveal the internal and external forces that often create disharmony and disease in the human body. He asserts that disease itself can be a positive force necessary to attain health, inner harmony, balance, and growth. A prescient, haunting, satirical essay inspired by current events told from the perspective of “Big Brother”. Even more relevant today than when it was first written over 16 years ago.